Lewistown Narrows on WM. 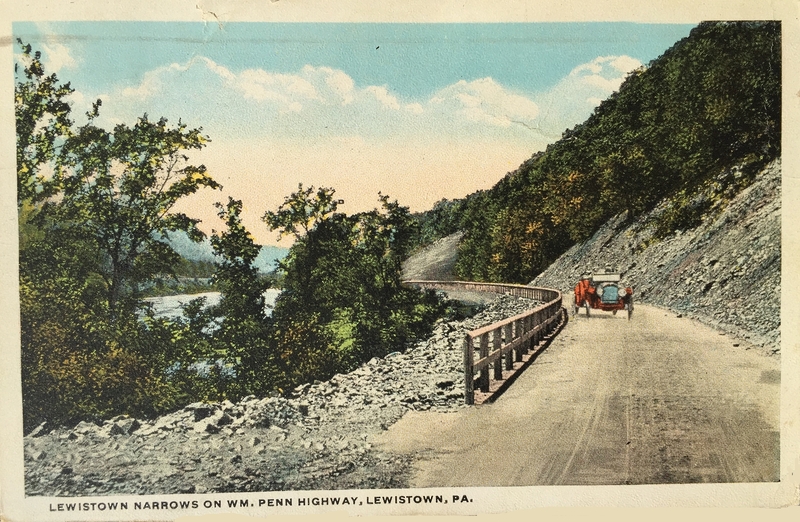 Penn Highway, Lewistown, PA.
address: Miss Virginia M White, 103 Park Avenue, New York, NY c/o Stehlin, Miller, Hines Co.
know that I am thinking about you. You were disappointed about the week-end weren’t you. So was I but it couldn’t be helped this time. Let’s hope for better week next time. Casa Loma, Toronto, Canada. – 24. Can you add to the story? Please do. Write in the box below. You may need to click “Leave a Reply” above to make the box, name, and address fields appear. Who do you suppose Dr. H was? 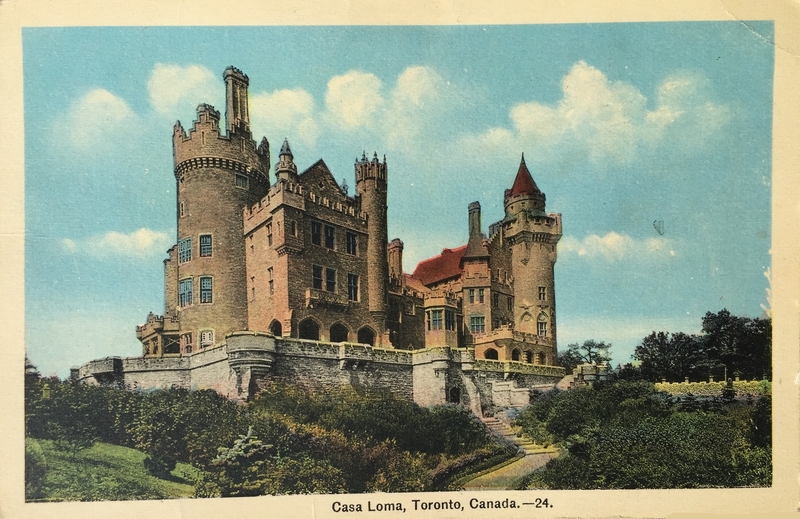 Does anyway recall a trip to Canada that would have been the opportunity to purchase the Casa Loma postcard? 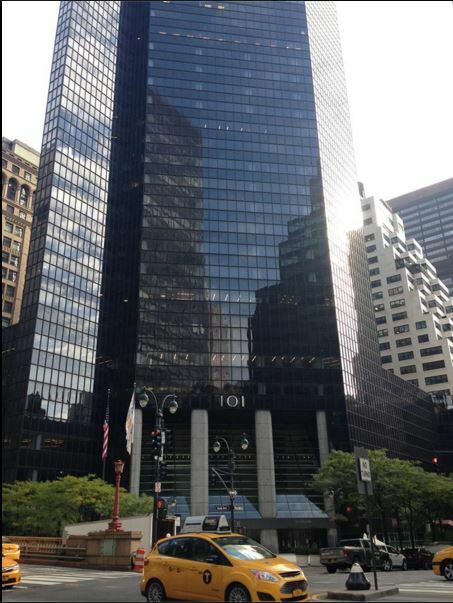 101 Park Ave, 10.20.2015, courtesy of Heidi Duncan. In 1922 and 1923 when Virginia receives these postcards, she’s working at 103 Park Ave, which is now inside 101 Park. This entry was posted in Taylor, Virginia and tagged 1922, Casa Loma, Lewistown on November 4, 2015 by Dawn Duncan Harrell.